I love my New Balance Minimus Trail shoes, and I know M digs hers, too. 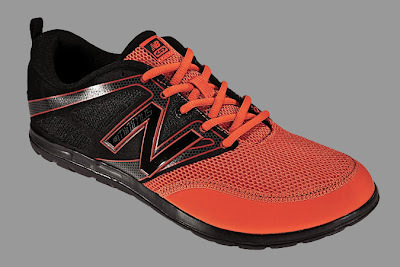 But ever since I saw this commercial for the designed-for-CrossFit New Balance Minimus Trainers (available for pre-order at TheShoeMart), I'm already salivating over the prospect of trying these out. If the Trainers are anything like the Trails, I'm going to be all over these babies. 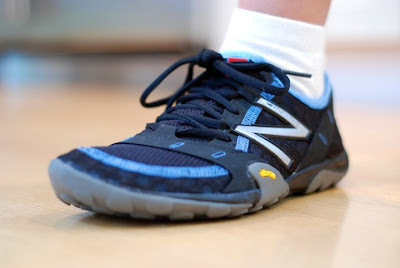 It makes me wonder, though, if and when Reebok's going to release their own CrossFit-specific shoes. So far, the Reebok stuff I've seen doesn't excite me at all, and I'm not alone. The gimmicky Zigs and RealFlexes aren't exactly resonating with the CrossFit community. If Reebok doesn't hit it out of the park with whatever they've got in the works, they may have trouble shifting the momentum away from New Balance, Inov-8 and other CrossFit favorites.